Being present, both physically and relationally, is one of the most powerful factors in the transformation of people and places. These resources exhort us into being present in ways that invite whole-life transformation for ourselves and for our communities. "In the 21st century, Spirit-energized people of all ages are searching for a new (yet ancient) way of life together. A new generation of intentional communities is emerging with inspiring stories to tell of discoveries and struggles as they find their way. David Janzen, a friend of the New Monasticism movement with four decades of personal communal experience, has visited scores of communities, both old and new. This book shares the wisdom of many communities in many locales over the last half century. 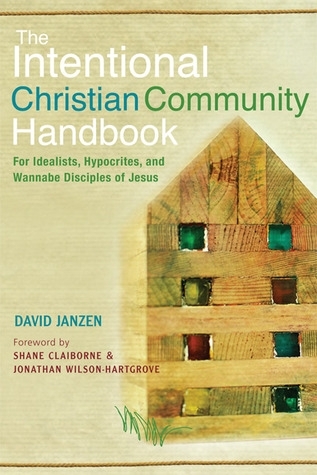 David Janzen grew up on a Kansas Mennonite farm, graduated from Bethel College, and studied at Harvard Divinity School. In 1971, he and his wife helped found New Creation Fellowship, a Christian intentional community in Newton KS. In 1984, they moved to Reba Place Fellowship in Evanston IL, where David now runs an affordable housing ministry." "The Wounded Healer is a hope-filled and profoundly simple book that speaks directly to those men and women who want to be of service in their church or community, but have found the traditional ways often threatening and ineffective. In this book, Henri Nouwen combines creative case studies of ministry with stories from diverse cultures and religious traditions in preparing a new model for ministry. Weaving keen cultural analysis with his psychological and religious insights, Nouwen has come up with a balanced and creative theology of service that begins with the realization of fundamental woundedness in human nature. Emphasizing that which is in humanity common to both minister and believer, this woundedness can serve as a source of strength and healing when counseling others." "In seizing the inspiration that came to him through Rembrandt's depiction of the powerful Gospel story, Henri Nouwen probes the several movements of the parable: the younger son's return, the father's restoration of sonship, the elder son's vengefulness, and the father's compassion. In his reflection on Rembrandt in light of his own life journey, the author evokes a powerful drama of the parable in a rich, capativating way that is sure to reverberate in the hearts of readers. The themes of homecoming, affirmation, and reconciliation will be newly discovered by all who have known loneliness, dejection, jealousy, or anger. The challenge to love as the father and be loved as the son will be seen as the ultimate revelation of the parable known to Christians throughout time, and here represented with a vigor and power fresh for our times." "Henri Nouwen was a spiritual thinker with an unusual capacity to write about the life of Jesus and the love of God in ways that have inspired countless people to trust life more fully. Most widely read among the over 40 books Father Nouwen wrote is In the Name of Jesus. For a society that measures successful leadership in terms of the effectiveness of the individual, Father Nouwen offers a counter definition that is witnessed by a "communal and mutual experience." For Nouwen, leadership cannot function apart from the community. His wisdom is grounded in the foundation that we are a people "called." This beautiful guide to Christian Leadership is the rich fruit of Henri Nouwen's own journey as one of the most influential spirtiual leaders of the 20th century."